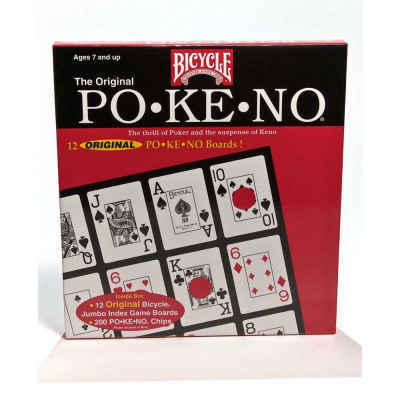 Bicycle Po-ke-no Cards includes 12 Po-ke-no card face boards. The complete game comes with instructions for 5 variations of play: original Po-ke-no, Po-ke-no Roulette, Po-ke-no 5-Card, Po-ke-no 4-Corner, and Po-ke-no Black Jack. 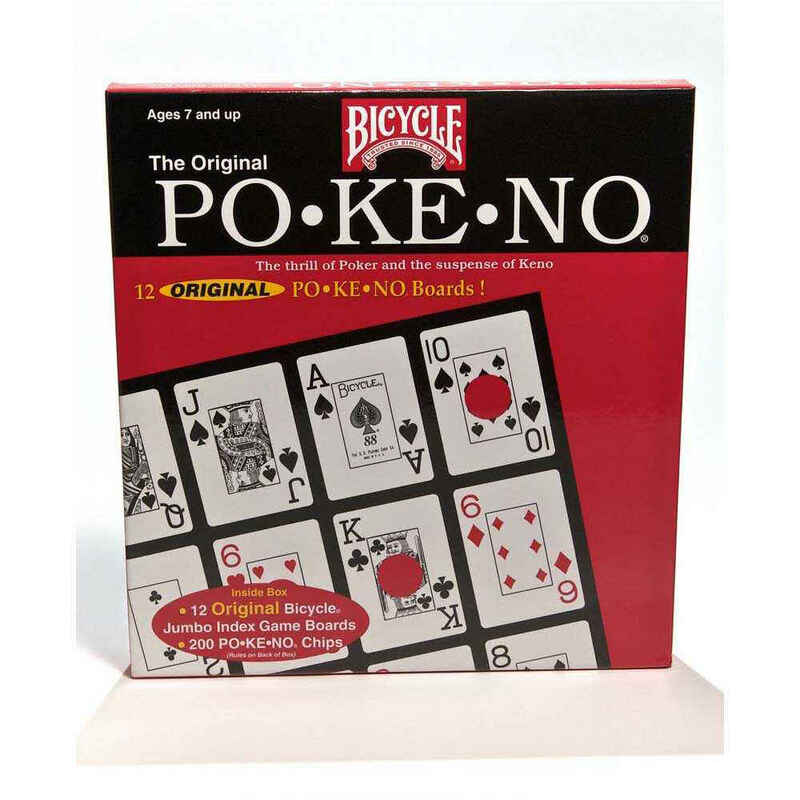 Po-ke-no is a board game that is a combination of a Bingo-like board game and a card game. Po-ke-no is great fun for all ages. Younger players can strengthen their listening, sorting and observation skills while older players can refine their gaming strategies.